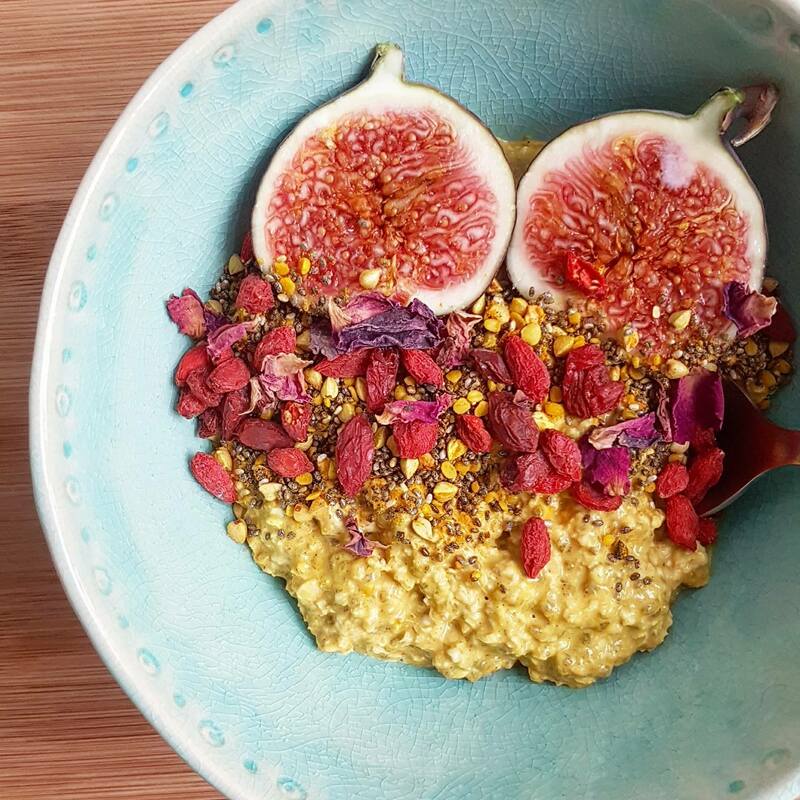 This warming and nutrient-packed Turmeric and Maca Porridge is the perfect breakfast on a cold winter’s morning! The combination of these two superfood powders makes this bowl the perfect choice for anyone aiming to boost their immunity and energy levels! Turmeric is linked with anti-inflammatory properties and our Creative Nature Maca Powder is packed with Iron and Calcium! Top this recipe off with some of our delicious Creative Nature Goji Berries and you also have some Vitamin C that will make sure you’re happy and healthy this winter! Cook the porridge oats with Turmeric, Maca, Cinnamon and the almond milk for 5 minutes of medium heat. Remove from heat and stir in the honey or maple syrup and chia seeds. This recipe was sent to us from the lovely blogger Pamela!